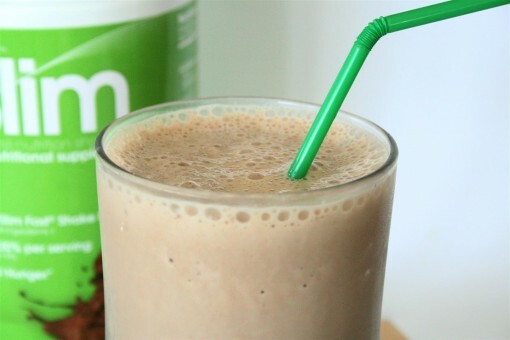 Mocha Manipulation Smoothie was posted on July 11th, 2012 and is filed under Drinks & Smoothies, Low Carb, Recipes. This entry has 11 comments. You can follow any responses through the RSS 2.0 Comment Feed. I’ve been on a coffee kick lately. I believe it’s thanks to our new coffee maker and the smell of fresh coffee in the mornings – the scent is just too much for me to handle. These are the moments when I feel sorry for one of my brothers. He is allergic to caffeine. Poor lamb. I made this the other day and loved it so much I had to share it. The secret to the creaminess (apart from the protein) is the cottage cheese. It also adds more protein to the shake, which is what I’m all about these days. This will serve 1-2. Blend everything well in a high-speed blender. Stick in a straw and enjoy! I’ve had this smoothie a couple times with a few change ups. The second time I had it I added chocolate whey protein and wheat germ for variety. The smoothie challenge has been such fun and I’m pleased to say I’ve stuck with my goal and had a smoothie as a meal replacement every single day for July. I love trying new recipes from my blogger friends or making up my own – it keeps me from getting bored! 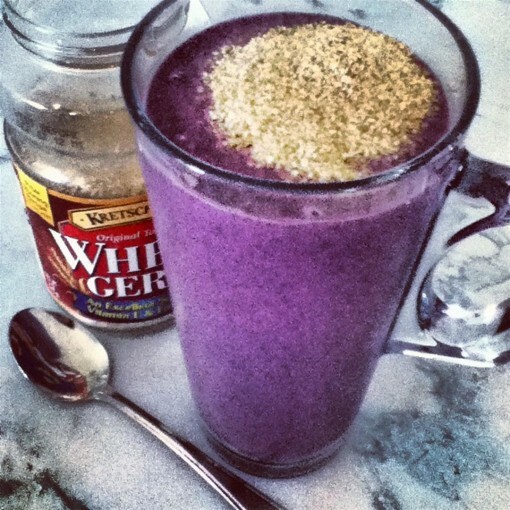 Here’s a bonus recipe that I made the other day – it was such a delicious shake with a deep purple colour! When you make your food look pretty I think it’s so much more enjoyable…and I love COLOUR! Blend everything together. You can leave the wheat germ out as I did. I like adding it on top of my smoothies and eating with a spoon. It has such a great nutty flavour. Serves 1 (large portion) and is approximately 300 calories. I’ve finally gotten over my cough so I can start to work out more seriously again (yay!). While I was feeling pretty sick, I still worked out, but I did low impact, slow workouts – mostly incline walks. It’s a wonderful way to still get your burn in without too much physical exertion. Sample workout: 30 – 45 minute walk on 6 – 7% incline at 3.5 – 4 mph. Sometimes I also added small hand weights (3lbs) as I walked for extra resistance. I’m glad to say there’s only one day I’ve skipped my workout (because I didn’t feel so hot). Go me! How are your July goals going? Got any delicious smoothies recipes you’d like to share with me? Comment below and let me know! Yum! Both of those sound amazing! I’ve never used cottage cheese in my smoothies before; just bought some yesterday so I’ll give it a go! Yum! That smoothie sounds amazing! I would never think to add cottage cheese in my smoothie but I bet it makes it extra creamy! I will definitely need to try that out! 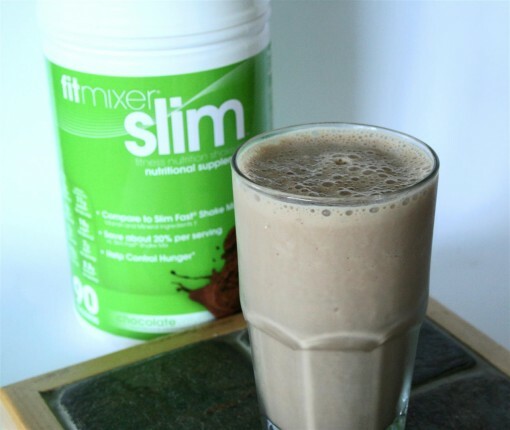 I’m dying to try fitmixer too I’m seeing it everywhere! Still loving your smoothie challenge. It’s gotten me out of my rut of making the same ones all the time. So much fun! I was hoping you were feeling better. Unfortunately, the average cold lasts a week to 10 days. I think I’ve lost count as to how long yours has been around. Maybe it will go away soon. Kudos to you for sticking to your plan. Just don’t push yourself too hard. 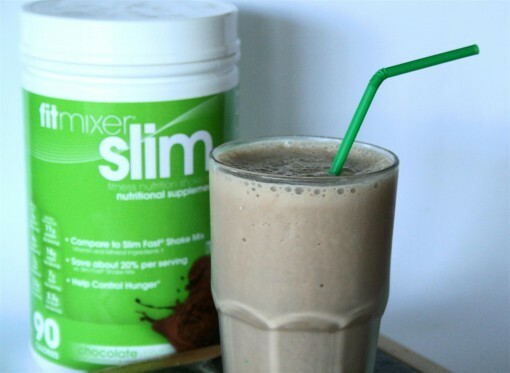 okay, i really need to try this fitmixer! Looks like the perfect blend with coffee too! Oh my gosh, I never thought about adding cottage cheese to my smoothies! Will have to try that. I am a creature of habit and usually make my smoothies with a frozen banana, almond milk, vanilla protein and whatever fruits or veggies I have on hand. I love adding coffee to my smoothies! muscle building and energy boosting! Oooh! Cottage cheese — very interesting! Would never have thought to pair that with mocha and coffee but my mouth is watering. i have been really into coffee lately too! when i wake up, its the first thing i think about! i wonder if it’s a summertime thing?